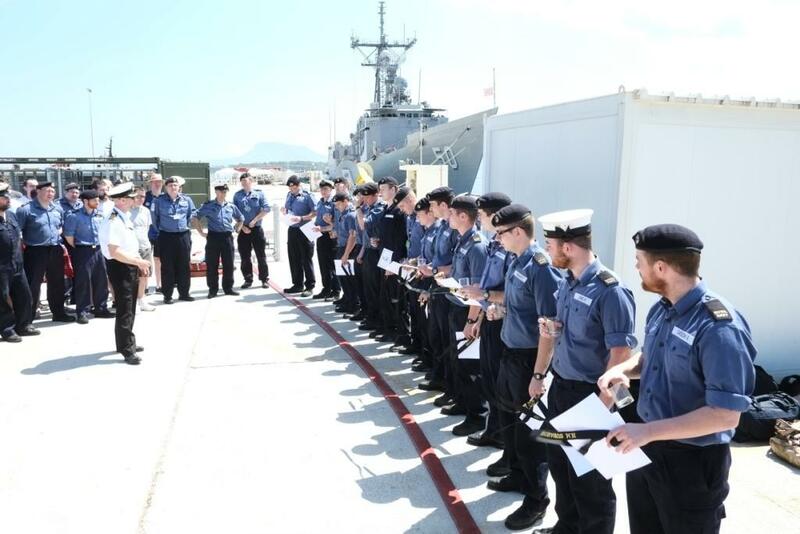 After leaving Gibraltar earlier in the year, HMS Astute embarked a group of future watch leaders for some on the job training. Many of them had spent months in classrooms and simulators shore side but this was, for many of them, the first time they were to run their own watches in an operational submarine. The trainee watch leaders were keen to get involved and a busy programme was arranged for them. During the transit from Gibraltar to Crete, the submarine contributed to a NATO operation that monitors for illicit activities such as people, weapon and drug smuggling. After conducting operations in the Mediterranean, many of the new faces on board were able to qualify as Submariners. The Ship’s Company gathered on the jetty for the traditional ceremony. 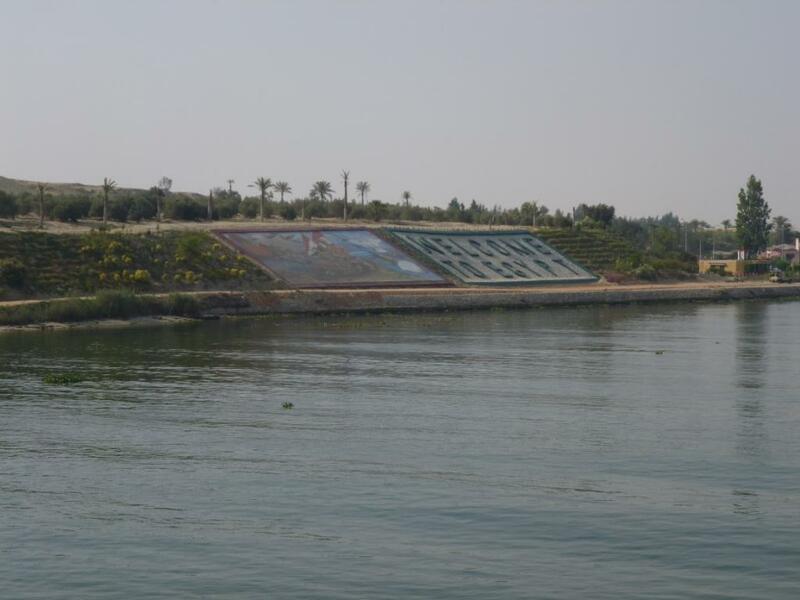 After stopping in Souda Bay, Crete, HMS Astute headed south for the Suez Canal and joined a southbound convoy to begin their journey through Egypt. As with all submarines, their great capability is not proportionate to their small size but in the Suez, some merchant vessels exceeded 400m in length and over 100,000 tonnes! 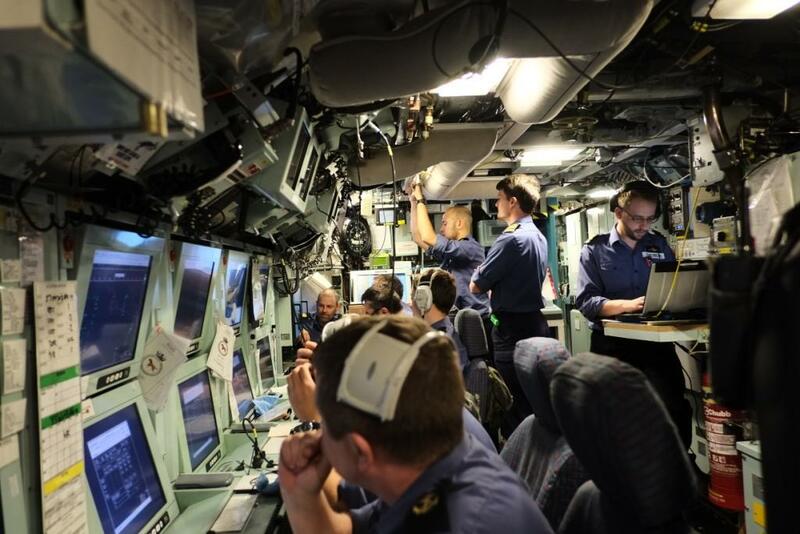 The canal transit was more than just a tricky navigational exercise and everyone was involved in ensuring this first transit by HMS Astute was carried out successfully. Thank you to the Captain of HMS Astute for keeping us updated on their adventures around the globe!